NESCA News & Notes: What Is Executive Function Coaching? When children struggle in school, parents and teachers alike want to know why. The first two places people look are, typically, the subject matter and the student’s motivation. While everybody has areas of strength and weakness—perhaps you love to write but hate math—and students can certainly reach a point of giving up, the issue is often more complex. If your child is struggling with challenges that extend across several subjects in school, and into other areas of his or her life, then a tutor will not be sufficient—and exhortations to try harder will be counterproductive. What is likely going on is that your child is struggling with executive function difficulties. Executive functions are the basic skills of self-management that allow us to set goals and achieve them. They include such areas as managing our emotions, taking initiative, staying focused, being organized, planning and prioritizing and recognizing when we’re off track and figuring out how to recover. While a professional neuropsychological assessment is the surest way to determine whether your child has executive function weaknesses, your starting point is information from teachers and from your own observations. Do book titles like Smart But Scattered, Late, Lost and Unprepared and Bright Kids Who Can’t Keep Up have you nodding your head knowingly? Does your child have no idea why his or her grades are so low? Does your child claim to be working on homework, but seems to have nothing to show for it? Does your child get confused by directions and deadlines? When your child does work, does he or she just “go” without a plan? Is your child frequently overwhelmed by the workload? Bright children with profiles like this are often dealing with executive function challenges that make tutoring fairly ineffective. While they may survive another paper on Dickens or an upcoming chemistry test, they are not generalizing, not taking lessons about how to do the work independently. What these students need is someone to teach them the right tools and habits to become more effective. And, invariably, because they’ve have suffered for some time, they need someone who also understands the emotional component of being asked to make a change. Coaches, unlike subject matter tutors, have a mission to do just that. Executive function coaches and their cousins, educational therapists, teach students how to succeed not only in the short-term, but in the long-term as well. I met Mark as a sophomore in high school. Mark let me know that coaching was not his idea, and that he would not use the “stupid” school assignment notebook that his parents were on his case about. When I asked how he could keep track of his work without it, he said that teachers posted online. “On time? Every teacher? Every night?” I asked. We brainstormed various ways he was willing to capture English assignments without relying on friends, and his preference, to his own surprise, was to use the assignment book after all—but just for that one subject. Over the next 15 months, our work focused on his writing and reading, not the basic skills of editing and phonics, but the higher-level parts requiring organization, planning and establishing a purpose. We used a tool I developed for him that we came to call the “second outline,” an outline made after the initial draft to determine if the paper is both substantive and organized, which helped him question his belief that good writing just “happened,” like a first kiss or some other romantic notion. For A Separate Peace, we focused on “Speed Limits,” learning how to adjust the pace of reading to the context of the book, just as we adjust the speed of driving to the conditions of the road (teenagers love this comparison, of course). Moreover, the practical skills of finding key information, the “hot” sections of a book, turned Mark into an active reader—a detective of sorts. He soon became a very successful student, improving his grades from the C+/B- range to the B+/A- range. Don’t get distracted; focus on the right credentials. Easily obtained “certifications” from online classes are a poor substitute for experience and professional training. With only a handful of exceptions, we only hire coaches who have a master’s degree or doctorate, and who have invested years of their lives working with students. The insider’s perspective of working in schools also adds immeasurably to the training that we provide coaches. If possible, get a direct referral from a trusted organization or friend. Professional neuropsychologists and school counselors will only recommend a company or individual that has earned their trust. Those sources and friends who have been in your shoes are more reliable than Internet reviews that can be easily manipulated. If you can’t get a direct referral, choose a company with a good track record and leaders who have committed their lives to education. See if the company has been open for several years and has legitimate referrals and references with whom you can speak. Be sure that the claims they make are verifiable. Get examples of how the process works. Effective companies have a systematic approach that allows their coaches to be effective, AND effective companies know that that approach must be tailored to the individual student. At Beyond BookSmart, for example, our online portal provides coaches access to more than 160 tools. However, coaches will select the precise tool that fits the particular student’s learning profile. When you vet the groups you are considering, be sure they can explain just how they do this, as well as offer examples. Look for sensible approaches, not guarantees. Ask how the company does their work, and if they can provide an example or two of how they have helped students. This should not be difficult for them to answer. Listen to those who give you a realistic estimate on time. To see significant progress academically, your child should feel comfortable with the coach within a few sessions. Within two to three months, your child should be willing to try the suggestions the coach is making, and seeing that they work—which will then open the door to further steps/progress. If these milestones aren’t happening, you should reconsider your choice. While it’s perfectly normal for kids to struggle as they learn to manage themselves effectively, sometimes it’s helpful to have someone other than mom or dad be the one to show them the ropes. (Thinking back to our own childhoods, we might remember our resistance to our own parents. Particularly when the challenges are long-standing, severe, or consistent across domains, a coach who understands the interplay of knowledge, habits and self-concept can be a tremendous ally for parent and child alike. 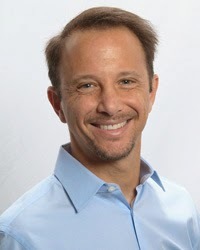 Michael Delman is the CEO and founder of Beyond BookSmart, an executive function coaching company with offices in Boston, Chicago, Providence and New York City, as well as online coaching throughout the U.S. and world. He led Beyond BookSmart to become the first organization to apply Dr. James Prochaska’s Transtheoretical Model of Change to help students tackle academic challenges. Michael is also the co-founder and former principal of the McAuliffe Regional Charter Public School in Framingham, Massachusetts. Previously, as a teacher in Southborough, Michael received the Anti-Defamation League’s Teacher Incentive Award for creating a superior learning environment for his students.